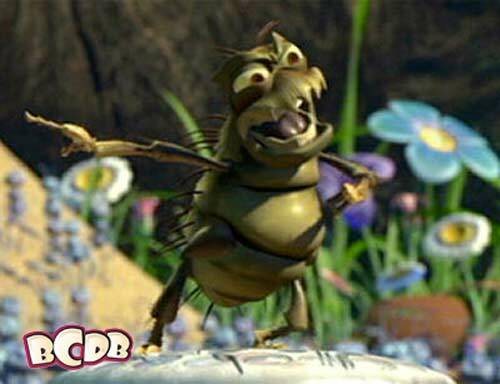 Pixar’s sophomore outing is called A Bug’s Life. As with Pixar’s initial computer-animated feature, Toy Story, the animation is seamless, the voice performances are flawless, and Randy Newman’s score complements the story perfectly. And yet the movie isn’t the eye-popping surprise that Toy Story was. This story of an oppressed colony of ants is far more (you should pardon the expression) down to earth. With this second film, Pixar upped their computing needs by almost ten times. It took over three hours to output (“render”) each frame of this film as a result of all the additional detail, shading and shadows in the backgrounds. Pixar would continue to push the resolution of their films, and even with the advances in computing power, by the time they make Cars, each frame would take most of a whole day to render. The A-113 reference in A Bug’s Life shows up behind Flik on a cardboard box. 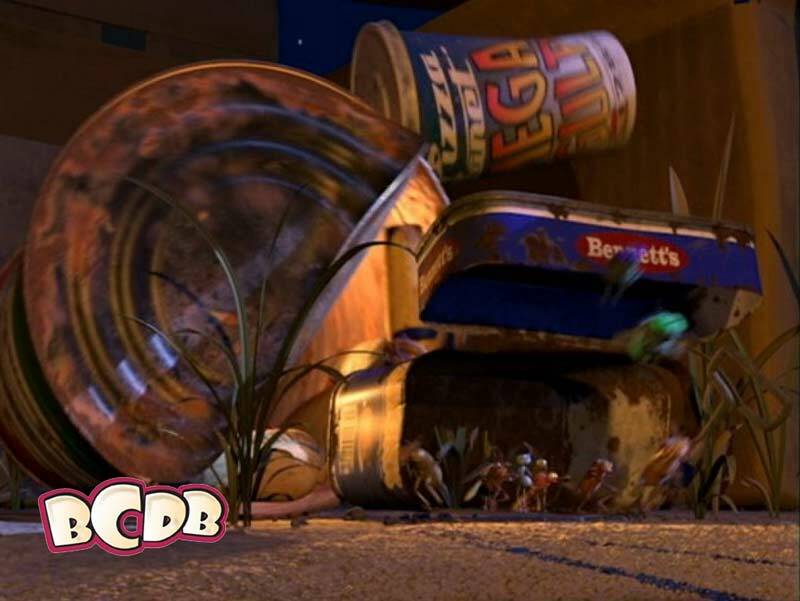 A used cup from Pizza Planet can be seen on top of the trash in Bug City. The image of the logo from The Lion King On Broadway appears on the right in the Bug City. Right next to it is a sign from Darla’s- Darla is the girl in the dentists office from Finding Nemo. One could also note the “This Side Up” box on the left as an anticipation of Up, but really, that is just reading too much in to this background. The circus train is made from boxes of Casey Jr. Cookies, which are made at the J. Grant Bakery. Casey Jr. was the name of the circus train from the Disney animated film Dumbo, and veteran Disney storyman Joe Grant wrote that film. Joe passed away in 2005. John Ratzenberger also is a bug this time around. He plays P.T. Flea, the greedy ringmaster of the circus, a minor character in the film.